Thor - a powerful superhero is based on the eponymous mythological god. He is armed with an enchanted hammer, called Mjolnir, which can be used to fly and control the weather, for example, to cause lightning. 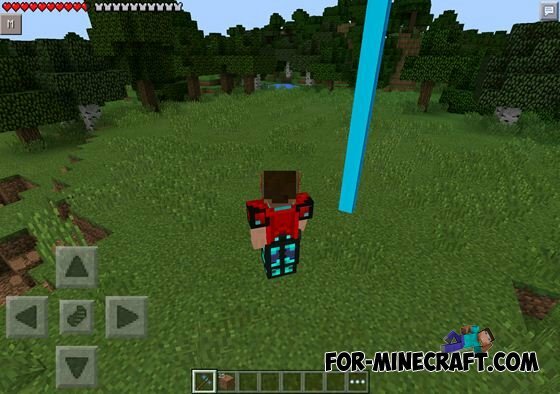 The modification will allow you to dress the equipment and become a hero Thor. In addition, you will receive a similar character hit. To become a Thor, you need to make all the equipment and put it on your character. In the role of Thor you will be able to fly and cause flashes of lightning that will blow up everything. 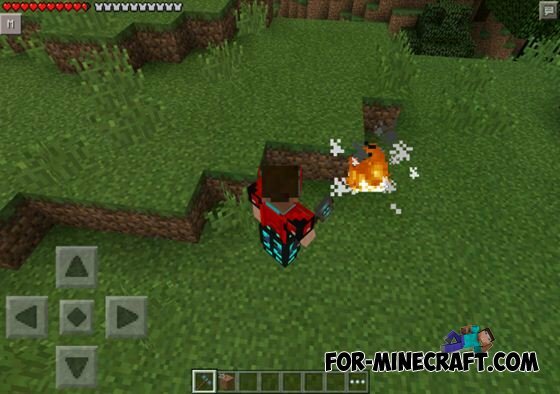 Hulk mod for Minecraft Pocket Edition 0.10.5You can turn into the most powerful hero in the Marvel - Hulk!